A small chocolate devil’s food cake with whipped chocolate ganache covered in rolled fondant. 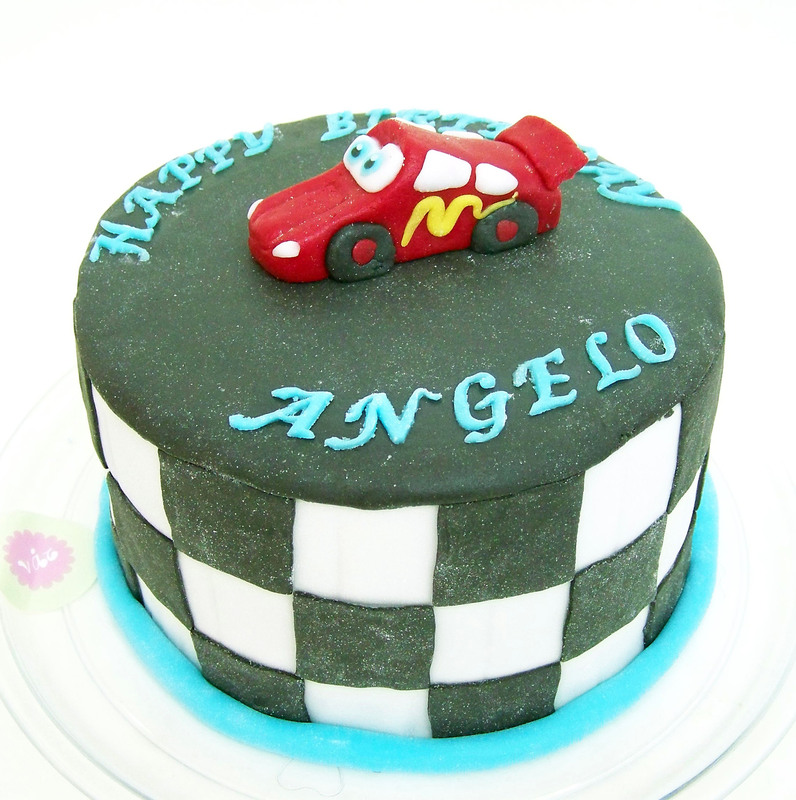 The “Lightning McQueen” figurine is handmade in fondant. 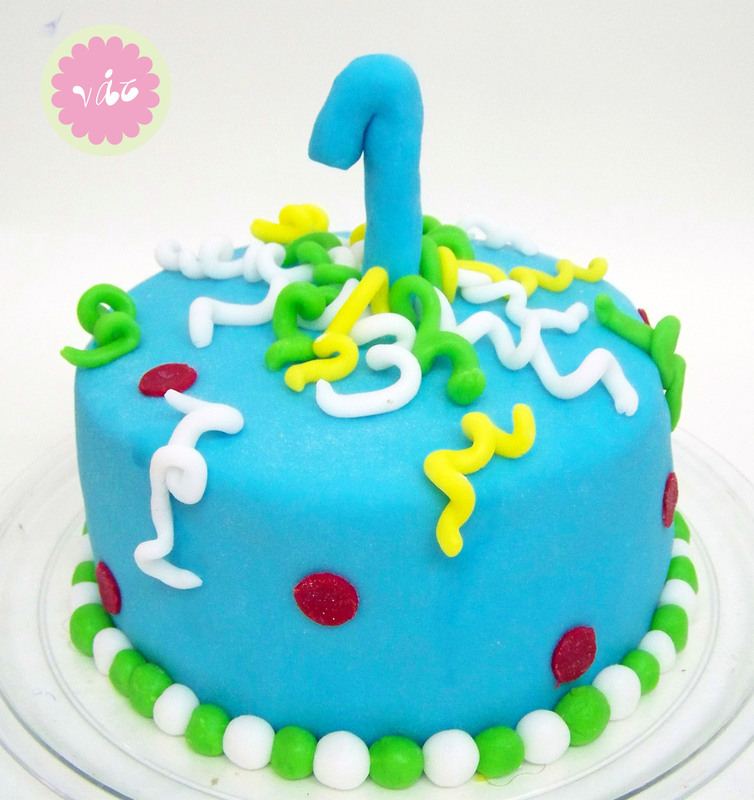 A festive cake for a first birthday. Chocolate devil’s food with chocolate ganache filling.